The possible kingmaker in New Brunswick’s deadlocked election just took a victory lap on Ezra Levant’s far-right Rebel Media. Levant even told Austin he sees a “tiny bit of a Rebel” inside of him. Austin’s party won three seats in rural New Brunswick on election night last month. With no party winning a majority of seats, the People’s Alliance is now poised to hold the balance of power by helping the Progressive Conservatives form government in New Brunswick. Austin’s anti-francophone rhetoric was a source of immense controversy during the campaign, sounding alarm bells for the province’s Acadian population – the mayors of 19 municipalities across New Brunswick later signed a letter condemning any party that enters into a coalition with the People’s Alliance. Rebel Media last made headlines in New Brunswick in September when a video surfaced showing Matthew Raymond, who stands accused of murdering four people including two police officers in Fredericton this summer, praising Levant’s far-right website as his most trusted source for news. The video, shot by local blogger Charles LeBlanc, shows Raymond wandering the grounds of the New Brunswick legislature with an anti-Muslim sign. 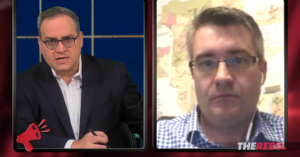 In the video, Raymond endorses a series of factually incorrect reports by disgraced Rebel Media personality Faith Goldy targeting students at a Fredericton high school. Goldy was fired for appearing on a neo-Nazi podcast, later promoted a book calling for the “elimination of Jews” and is now a fringe candidate for Toronto mayor. New Brunswick PC leader Blaine Higgs says he’ll try to form government through a “legislative document” that would secure the support of Austin’s People’s Alliance. 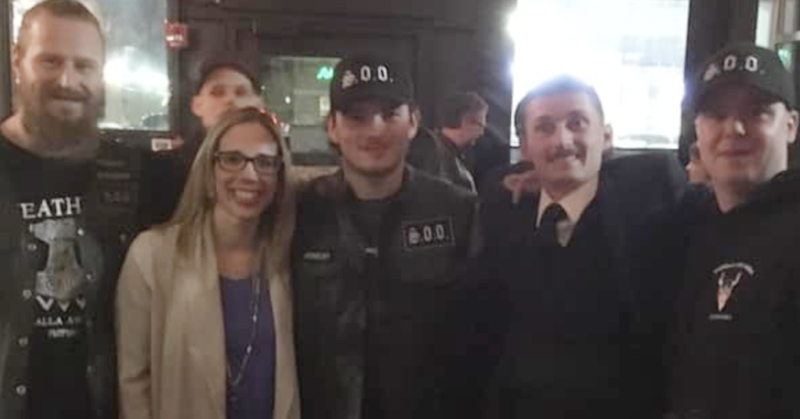 Three UCP Candidates Got Caught Partying With a Hate Group. Jason Kenney’s Excuse Makes No Sense. Why did three nomination candidates for Jason Kenney’s United Conservative Party end up partying with a white supremacist hate group? 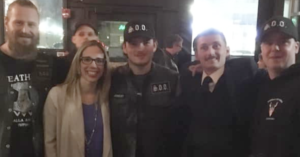 Over the weekend, the “Soldiers of Odin” – a group founded by a violent neo-Nazi, classified as an anti-Muslim hate group by the Southern Poverty Law Center – made headlines across Alberta after they were spotted partying with multiple UCP nomination contestants from Edmonton-West Henday.